Disclaimer: To access and download these games, you must first download the Mac Game Store client onto your Mac. Upon purchase, your redemption instructions will explain this (very simple) process. The epic sequel to the fastest-selling new series in video game history. 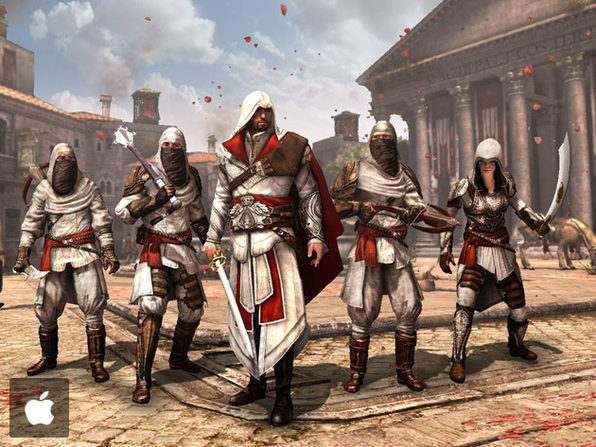 Step into the boots of Ezio Auditore da Firenze, a young Italian noble, in a new era, the Renaissance. 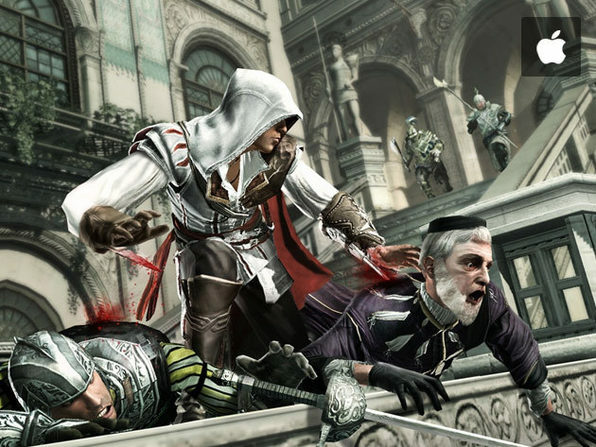 Follow this epic tale of family, vengeance and conspiracy set in the pristine, yet brutal, backdrop of a Renaissance Italy; befriending Leonardo da Vinci, taking on Florence’s most powerful families and venturing throughout the canals of Venice as you become a master assassin. 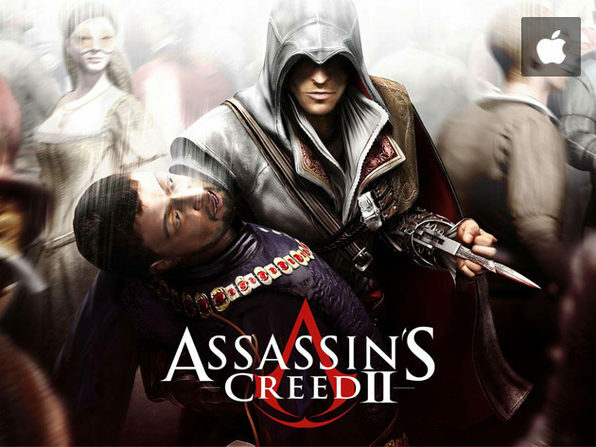 Assassin’s Creed 2 Deluxe Edition includes Assassins Creed 2 and three special in-game maps of prestigious Renaissance monuments: Palazzo Medici, Santa Maria Dei Frari, and the Arsenal Shipyard. Ezio, A New Assassin, A New Era - After his family is betrayed, this lady’s man and free soul is driven to seek vengeance and become a master assassin. Renaissance Italy - 15th century Italy was largely controlled by families with political and economic strength. Your journey takes place in one of the most beautiful cities in the world at a time when culture and art flourished alongside corruption, greed and murder. New-Found Freedom - Complete missions when and how you want as you free-run, swim, and even fly to adventures in this open-ended world. Dynamic Crowd - Discover a living, breathing world where every character you interact with is an opportunity for ample rewards but can also lead to surprising consequences. Become A Master Assassin - Brandish new weapons, disarm enemies to use their weapons against them, and assassinate targets using both hidden blades. PLEASE NOTE: Laptop and integrated versions of GPU cards may work but are NOT supported. Lead The Brotherhood – Recruit and customize your own guild, then train them to aid you in your quest. Deploy Secret Weapons – Use poison darts, parachutes, double hidden blades, hidden guns, and an advanced flying machine to keep your enemies on their toes, till they drop dead. (Re)build Rome (In More Than A Day) – Earn money and use it to revitalize the crumbling capital city. Rally the citizens to your cause and unlock extra factions and missions. 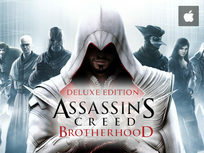 Award-Winning Multiplayer – Choose from different character classes, each with their own signature weapons and killing moves. 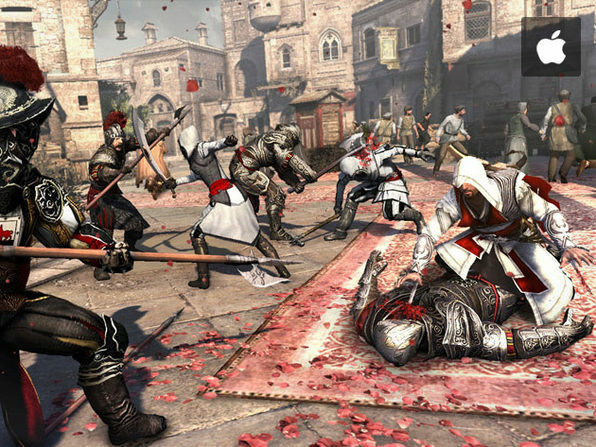 With a wide variety of unique multiplayer modes, you’ll never fight the same way twice. Project Animus Update #1 Multiplayer DLC - Use your free-running skills to navigate the treacherous, narrow roads and multi-leveled architecture of the Mont Saint-Michel map. Project Animus Update #2 Multiplayer DLC - The perfect free-running playground where predators and targets can blend and disappear. There's also a Chest Capture Multiplayer Mode. 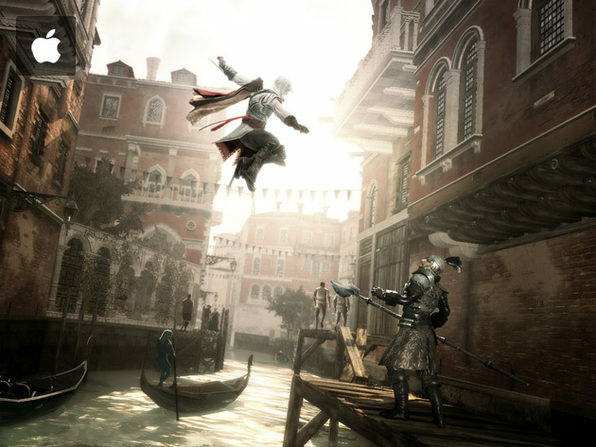 The Da Vinci Disappearance Single-Player and Multiplayer DLC - Leonardo Da Vinci is kidnapped and Ezio embarks on a quest to save him, discovering new locations and gameplay features. The multiplayer addition is the biggest expansion to the award-winning multiplayer yet, including a new map, new characters and game modes. Operating System: Mac OS X 10.5.8 and higher (Intel CPU only). The game runs on 10.7 and 10.8, but is not officially supported on those versions of OS X.
Instantly redeemable through MacGameStore.com upon purchase. Users must create a Mac Game Store account and download the Mac Game Store client in order to access and download their games. Upon purchase, follow the redemption instructions located in your account to complete this process and download your games.